A film noir of commonness. The Real Fantasies short film developed by OMA AMO for PRADA to introduce the 2013 Fall Winter Collection merges actions and scenes to compose a "film noir of commonness", taking place in a sophisticated domestic imagery. Characters perform everyday actions and their movements, talks and gazes contribute to create a condition of suspension and suspicion, while the backdrop is always changing behind them, almost evoking an action-reaction principle which merges a scene with the following one in a continuous flows. The scene, full of frames and screens, is the device to shift perception from inside to outside. So it could happen that from the inside of the apartment, protagonists take a look outside to the urban scene where some friend are passing by in front of an iconic building, and then bring the gaze inside again for watching, as usual, the TV. 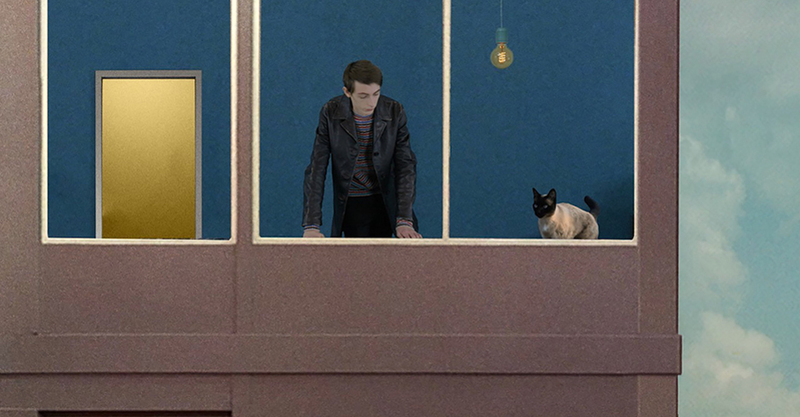 Also in this short film, as it often happens in the Real Fantasies series, OMA AMO and April put on the stage interconnected stories in a retrofitted and distorted graphic universe.